How do I manage profile pictures for users in my account? 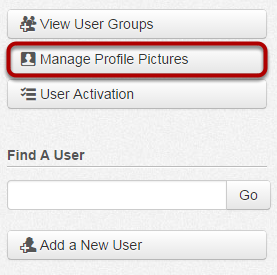 Profile pictures are public and automatically approved when users upload an image in their settings. If a user has a Gravatar, and chooses not to upload a profile picture, the Gravatar will show up. If a users reports an inappropriate profile picture to the administrator, they can choose to approve, lock, or delete the picture. 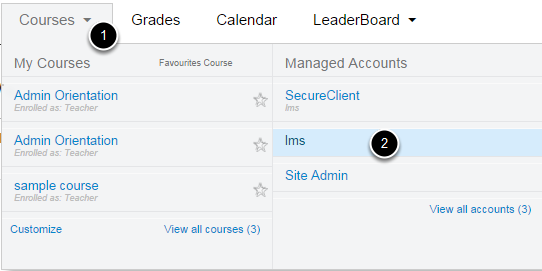 Click the Manage Profile Pictures button. Using profile pictures can make it easier to see the users in your account and managing them gives you the ability to keep the pictures appropriate. Submitted which are the pictures that users have submitted but they haven't been approved or deleted. Reported which are the pictures that have been reported. Approved, Re-Reported which are the pictures that have been approved and re-reported. All which are all the pictures within the account. On individual profile pictures, you can either approve, lock, or delete the picture. Once the picture is approved, a green checkmark will appear next to the picture.